You didn’t have to be an advertising industry expert to see how Lionsgate slowly built hysteria around The Hunger Games. The whole thing was like a scavenger hunt, giving Hunger Games fanatics the opportunity to interact with the series directly through traditional and non-traditional media, and build a connection with the movie before it even opened. And to great success. 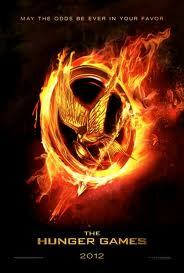 The Hunger Games was predicted to make $90 million during its opening weekend—it raked in $155 million. It goes without saying that the real star of The Hunger Games movie wasn’t Jennifer Lawrence or the incredibly good-looking Liam Hemsworth—it was the social marketing push, which the New York Times’ Brooks Barnes sums up nicely in this article about how the franchise generated “must-see fever.” What brands can learn from The Hunger Games is that the more subtle, phased approach builds suspense and drives interest in a product—even if the audience already knows the story. By serving products up piece-by-piece, brands make fans feel like they discovered them on their own. It is that sense of ownership that builds true loyalty, and in return, a record-breaking opening weekend. So, when you’re working on your next campaign, think about the who, what and where—but also think about the when. Knowing the best time to reach your audience is what will get you ahead in the game.